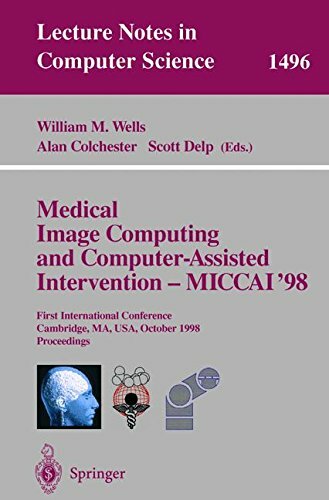 This book constitutes the refereed proceedings of the First International Conference on Medical Image Computing and Computer-Assisted Intervention, MICCAI'98, held in Cambridge, MA, USA, in October 1998. The 134 revised papers presented were carefully selected from a total of 243 submissions. The book is divided into topical sections on surgical planning, surgical navigation and measurements, cardiac image analysis, medical robotic systems, surgical systems and simulators, segmentation, computational neuroanatomy, biomechanics, detection in medical images, data acquisition and processing, neurosurgery and neuroscience, shape analysis, feature extraction, registration, and ultrasound.